No one does weddings better than Disney. 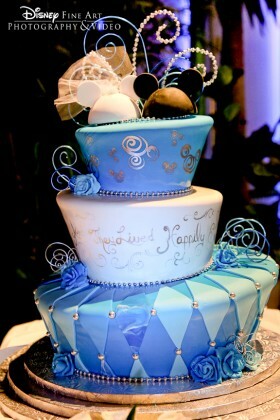 And when it comes to cake, the artists who craft each cake for weddings held at Disney are adept at creating magic that expresses the unique personality of each couple. 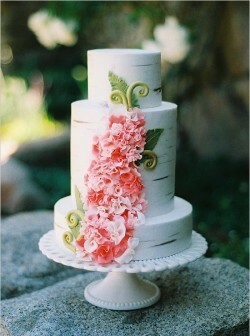 Here at A Wedding Cake Blog, we’ve seen everything from castles and princesses to mouse ears and amusement park rides. 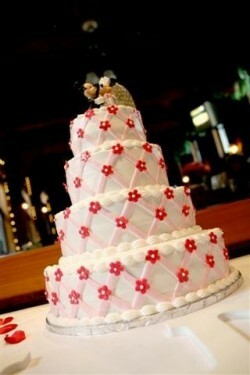 But Disney Wedding Cakes can turn up any place, at any time. If you are a Disney fan, you don’t have to have a big budget and get married at a theme park to enjoy a little pixie dust. Bakers and cake artists have access to lovely cake toppers that can transform the most plain wedding cake into a Disney dream come true, and any baker with a steady hand can pipe hidden (and not so hidden) Mickeys to your hearts’ content. Did you hear the news? Due to the success of the Lion King 3-D in theaters last month Disney will be re-releasing several Disney classics in 3-D including my favorites The Little Mermaid and Beauty and the Beast. Oh yes. 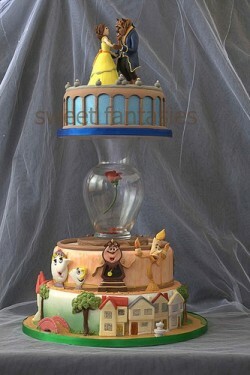 In honor of that news I think we need a Beauty and the Beast inspired cake..don’t you? The answer is yes. Yes you do. 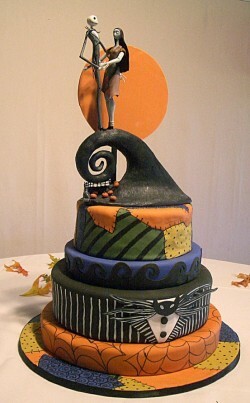 Check out the awesomness that is this cake. 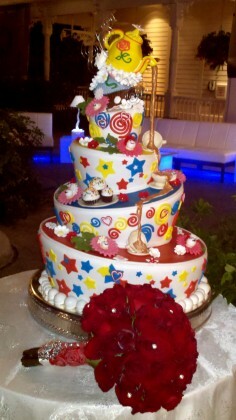 Let’s start with the obvious..the incredible fondant work. The first tier is set to look like Belle’s village in France. The second tier features realistic portrays of Beauty and the Beast characters such as Cogsworth, Lumiere, Mrs. Potts and Chip. The top tier and the topper showcase and immaculate replica of Belle and her Beast. Seriously, replicating Disney characters is NOT something that can be done easily. In fact I’ve seen a lot of cakes..well..flop in this area. The BEST part of the cake is probably what your eye was drawn to first. The rose in the vase that separates the second and third tier. One, how do people think of these things. 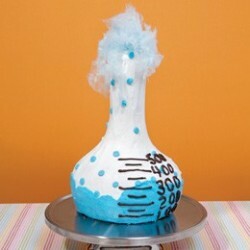 That is super creative. Two, it amazing and gives the cake such great height. I would really love to know how exactly that rose is floating in there. Pardon me while I turn down the a/c so I can bake some pumpkin muffins. Anyone else in a rush for fall to feel like, you know, fall? Here in the extreme Southeast, we’ve learned to take our fall cues from things other than the rustle of leaves and the cooling of temperatures. How do I know it’s fall? Well…lovebugs come back for round two. (Or is it round three?) Pumpkin patches start to pop up (and we have our pictures taken in folksy settings in our tanks and shorts and flip flops.) It’s not as hot…in the evening. Meaning that it dips below, you know, eighty. Me? I went as Sally from The Nightmare Before Christmas. I didn’t get the memo about the skimpy costumes. 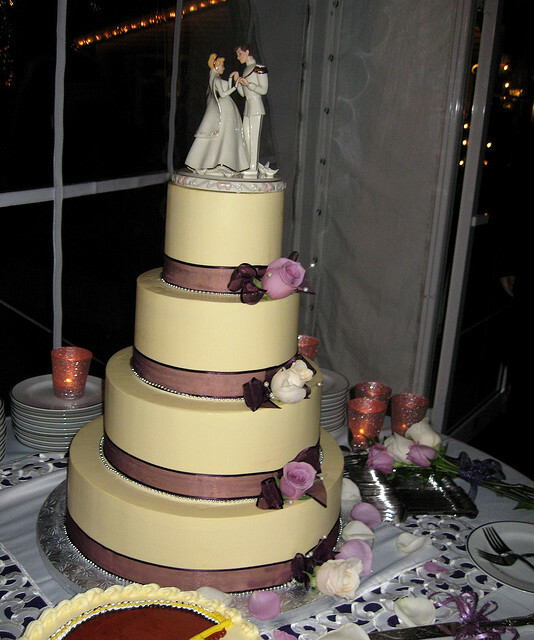 Let’s take a break from the nontraditional cheese cakes of recent times and go back to an old school classic wedding cake. 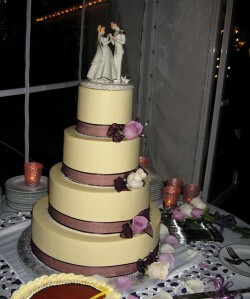 This is a round, four tiered cake with a cream colored butter cream icing. The deep purple ribbon around the base gives it a pop of color and the three purple and white roses add a splash of sophistication. So this wasn’t the post I intended for today but on my daily visit to all my Disney, Wedding Cake and Hollywood Gossip Blogs I saw one common theme. 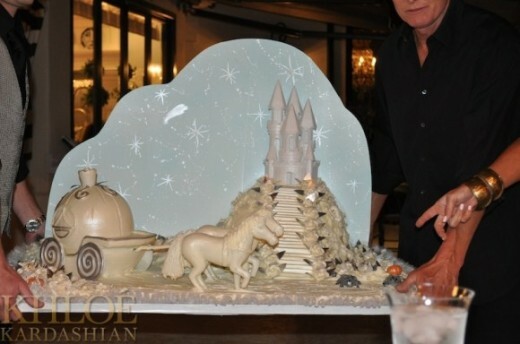 Ms. Kim Kardashian’s Cinderella inspired Engagement Party Cake that was reportedly made by Hansen’s Cakes in Los Angeles. The same bakery that Tori Spelling buys all her cakes from as well. I guess if you are a reality television star you buy your cakes here. The edible part of this cake is the hill with the castle topper. I have a love of all things Disney. Especially Cinderella. I would love to see a Cinderella wedding done Kim Kardashian style. Wouldn’t you? According to her sister Khloe (who posted the picture of her gorgeous cake on her blog) the family gathered together for a “normal family dinner” and Kim walked in and announced her engagement. I know all of my “normal family dinners” include live ponies. Don’t yours? I’m late..I’m late..for a very important date! It’s no secret. I kind of live for Wedding Cake Wednesdays on Disney’s Ever After blog. 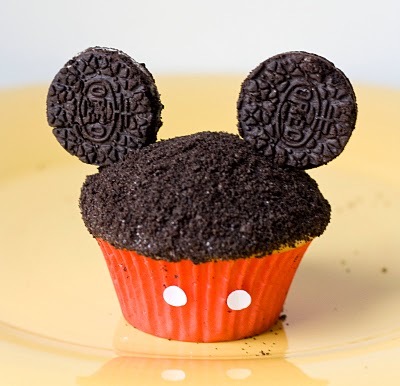 Seriously, these cakes that the bakers at Disney come up with ALWAYS knock me on my…well…you know.